We believe that "Why" a company does what it does and "How" it does it, is just as important as "What" it does. We are a values based company that uses innovative cleaning technologies and green practices. Read more to find out what makes us a GREEN company. When you have your own business, there is a lot to do. Marketing, operations, business development and sales are the things you should be thinking about. You have to run the actual business, and you don't want to be burdened with details like office cleaning, which is no small task. Keeping everything looking amazing is actually a task that is best left to the professionals. If you're still wondering why, here are five reasons that a commercial cleaning company in Phoenix, AZ is the way to go when it comes to keeping things neat and tidy. Employees tend to wear many hats in small or medium-sized businesses. One day your employee might be the marketing manager, and the next day they may be tasked with dusting the conference room before a meeting. Hiring commercial cleaning services in Phoenix, Arizona allows your employees to focus on their actual job instead of worrying about if everything is spick and span. You hired your employees to do a specific job, and you want them to be able to get that job done without having to clean up after everyone. Additionally, employees working in a neat and clean working environment may be more productive, because there is a correlation between productivity and cleanliness. Not only can a sanitary space lead to fewer sick days throughout the year, but cleanliness simply allows people to focus better. A study performed by Harvard University showed that students working in a clean and uncluttered area could study for almost eight minutes longer than those who were working in a dirty environment. So a clean office space leads to more time spent actually working and more time in the office. You have enough on your plate without worrying about whether or not the office is clean. When you hire a company like Compass Cleaning Solutions, you will never have to stay another late night to vacuum up the day's mess after the employees leave or worry about whether the office is presentable for a big meeting. The time and energy you have spent on cleaning can be better put towards strategic thinking, planning and managing your business. Running your own business is hard enough work. Why not make it easier with commercial hard floor maintenance or carpet cleaning services in Phoenix, Arizona? When new clients come to your office, your floor might be clean, but have your windows been scrubbed or have you used ceiling restoration and cleaning services? Probably not. The average cleaner simply doesn't take those important details into account. When you have an industrial cleaning service on your side, you can rest assured that the job will be done perfectly and anyone who walks into your office will be impressed with the results. A day porter service in common areas will keep everything stocked and looking great for the whole day! Having every nook and cranny cleaned makes a great impression and leaves the space with a professional and put-together feeling that could lead to some great business deals in your future. Instead of worrying about the dust piling up on your desk, you can come into the office knowing that it will be clean. Not only will it be spotless, but it will have been done by a professional crew that knows to pay attention to every detail, whether it's a post-construction clean up job or regular recurring commercial cleaning service. Cleaning is about more than just dusting and vacuuming. It's also about trust since you will be letting our crew into your space. Luckily for you, Compass Cleaning Solutions has an A+ rating with the Better Business Bureau and is rated as one of the top 10 office cleaning companies in Phoenix, AZ. Peace of mind for many also means knowing that no harmful chemicals will be used in your office space. Many businesses these days allow employees to bring in their dogs or have health-conscious employees. This is especially important for tenant move in/move out cleaning and apartment turn cleans because tenants do not want chemicals in their homes.  Our commercial janitorial services in Phoenix also do not use any harmful chemicals, so you and your workers will stay healthy and happy in your nice and clean environment. When you hire Compass Cleaning Solutions for anything from clean up after an event to medical and healthcare cleaning, you know what you will be getting. Anyone can come in and dust your computer, but we will work with you to find out which services you need and how often you need our professional team to come to your space. We adjust our plans to your needs, and each of our clients gets personalized service. Our cleaners can do anything from carpet cleaning and window washing to more usual everyday cleaning. We provide cleaners with the latest technology so that they can get the job done well and efficiently. If you need verification of our amazing service, just look at our many testimonials from happy clients. When you're ready to hire a cleaning company, we will be here for you! 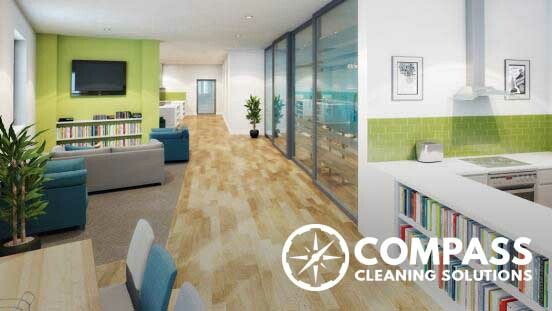 Contact Compass Cleaning Solutions today to get a free quote on cleaning services and find out what the best service is for your business. We provide amazing, personalized service using green commercial cleaning products and take the worry of cleaning out of your hands. Let our team make sure your office is presentable and professional, and you take care of running your business!